In Illinois, private water wells and closed loop geothermal wells must be constructed or renovated by an Illinois Department of Public Health-licensed well contractor. Before work can begin on wells in Champaign County, a construction permit must be obtained from our office. Contractors must complete an application and submit it for approval along with the appropriate permit fee. Applications are processed within 15 days. After application approval, contractors must provide our office with a minimum of 48 hours' notice before starting work on a well. Our staff will conduct inspections to determine that wells have been installed according to code. To find a well contractor, please see the Illinois Department of Public Health's list of licensed contractors. Simply type "Champaign" into the "County" field and a list of contractors from the area will appear. An abandoned well can pose a health and safety hazard, and become a potential route for groundwater contamination if sealed improperly or not sealed at all. When abandoned wells are left open, children, animals or even adults can fall into them, and an abandoned well may be a pollution threat to other nearby wells. An owner that has an abandoned well on their property should contact a licensed water well contractor to have the well sealed within 30 days after abandonment. The contractor should submit a completed well sealing form to our office. Our test kits are $49 each (or $20 for wells within Champaign or Urbana city limits) and are available for purchase in the Environmental Health Division. The kit fee includes a sample bottle, instructions and lab testing for coliform bacteria. Testing for coliform bacteria will reveal whether your water supply may be contaminated with infectious organisms. If you reside in a different county, please contact your local health department to inquire about well water testing. Nitrate and nitrite in groundwater may be produced by agricultural fertilizers, livestock waste or septic systems. For nitrate and/or nitrite testing, you must contact a private laboratory. Please see a list of accredited private laboratories. The Illinois State Water Survey provides testing for lead (the element, Pb) for any household, whether private well or municipal supply. Testing for lead usually applies to older homes, built before approximately 1986, where lead pipes or solder might be present. 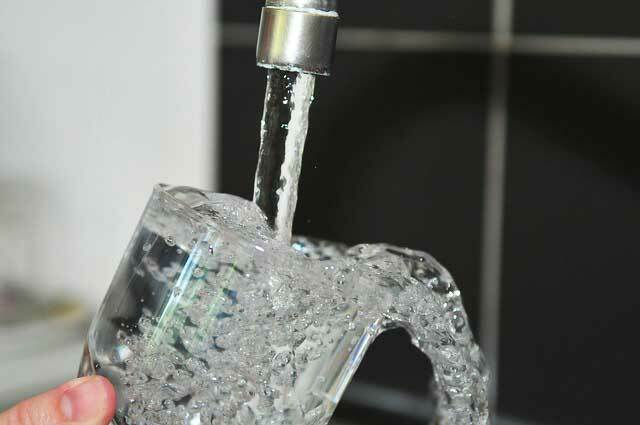 The Illinois State Water Survey will provide bottles and instructions. Samples must be mailed to or dropped off at the Illinois State Water Survey in Champaign. Please call (217) 300-7420 for fees and more information. Arsenic is a metal-like substance found in small amounts in nature. Elevated levels of arsenic can be found naturally in groundwater in some areas of Illinois. Arsenic in groundwater also may be the result of contamination caused by hazardous waste or industries that make or use arsenic. For arsenic testing or other types of testing, please see the Illinois Environmental Protection Agency's list of accredited laboratories. Do You Know How Your Private Well Works?